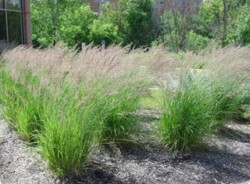 Botanical: Calamagrostis Aculata "Karl Foerster"
4-5’ x 24” wide, (division propagated). Rather drought tolerant (but not quite xeric) and tolerating a wide range of garden soils. 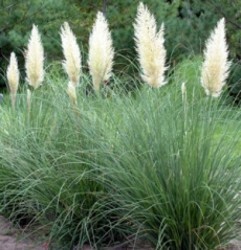 Feather Reed Grass has a wonderful upright growth habit, making it very useful to place behind perennials with a spreading or rounded shape. 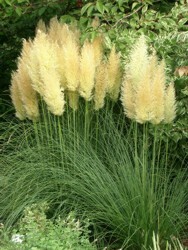 The feathery plumes emerge in early summer and ripen to handsome wheat-colored seed heads by fall. Combine with Artemisia ‘Powis Castle’ or Russian Sage. 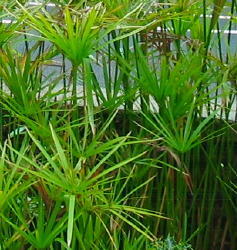 Plant in groups of three or five for best effect. Zones 5-9. 6’ x 36” wide, (division propagated). 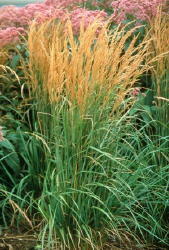 This ‘Pumila’ variety is a smaller, more cold hardy version of Pampas Grass. 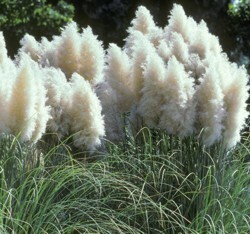 It is extremely showy with its large, fluffy white flower heads that are held on stout stems. It thrives in hot, full sun exposures and is especially useful as a specimen along walls and in corners. Plant it in moderately fertile soil with good drainage. Leave standing over the winter before cutting it back hard in mid-spring. Pumila is sterile and won’t re-seed itself. Not recommended for fall planting in Zone 6. Zones 6-10. 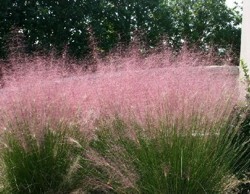 Botanical: Muhlenbergia cappillaris "Regal Mist"
3’ x 3’ wide, (division propagated). 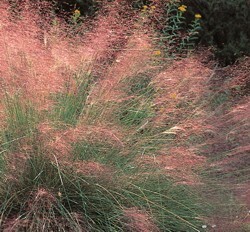 A selection of Gulf Coast Muhly made by Ron Gass of Mountain States Wholesale Nursery in AZ, “Regal Mist”™ becomes a spectacular haze of dusky pink in the fall, when it blooms. Well suited for garden use along the CA coast and throughout the warmer areas of the intermountain West. 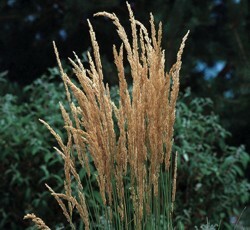 Adapted to a wide range of soil types in well-drained situations. Irrigation in late summer encourages heavier flowering. Zones 7-10.